It was a catchall name for playing Army or cops and robbers. I had at various times a cap gun, a gold-colored pistol that was supposed to shoot little pellets but never really did and a plastic Tommy gun that I bought at Woolworth’s for 99 cents. In determining whether a person was shot or was missed was based on the honor system between shooter and target: Was the target ambushed? Had they taken cover? Did they return fire? Of course, real life gunplay has no referee to say whether you are wounded or dead. 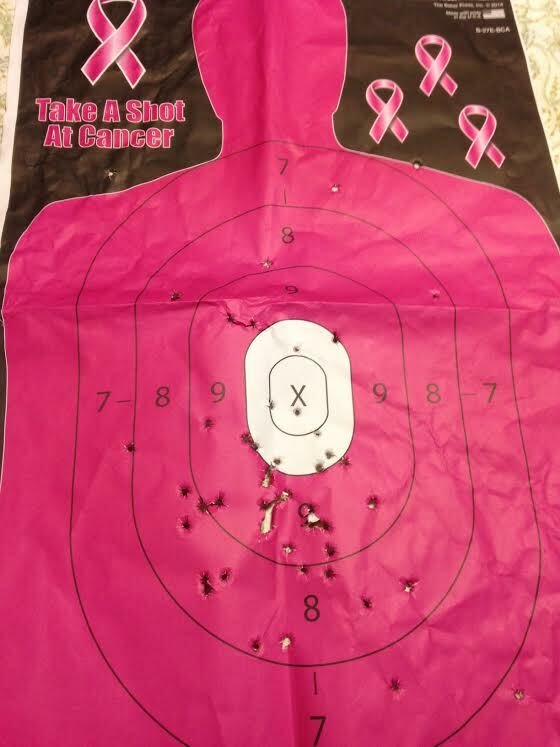 This all became clear when the members of the About Men Radio crew recently piled into the Dingmans Shooting Range in Dingmans Ferry on a rainy Saturday afternoon as part of a long-planned outing. Of the four of us, I probably had the most experience with weapons — and that’s not saying much. As a kid, I shot a rifle at tin cans with my uncle in his backyard and an M1, bolt-action, single-shot rifle at Boy Scout summer camp; and went to a range in the Poconos with my late fiancée about a dozen years ago and fired three different handguns. Two years ago at Drive A Tank in Minnesota, I shot a Sten machine gun, a 1919 belt-fed machine gun and an M4. Those occasions were fun. 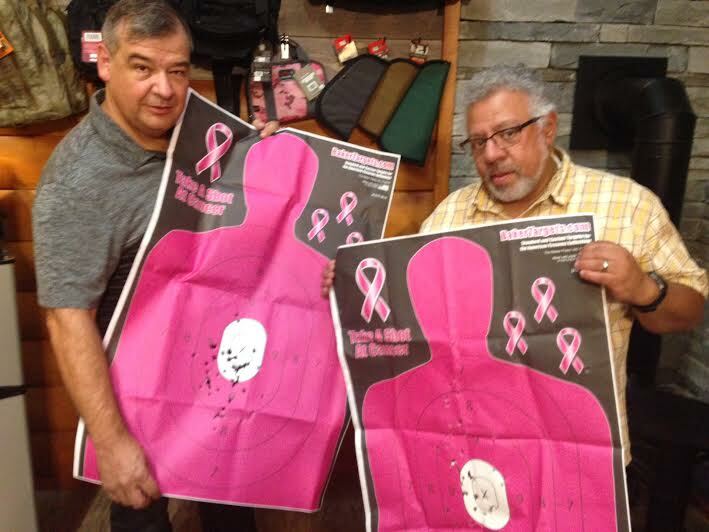 I had looked forward to this day at the range as an opportunity for male bonding but something about this visit was less exhilarating. 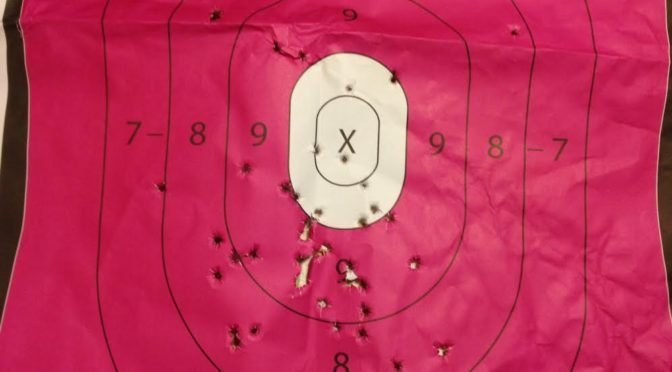 Unlike my previous shooting experiences, this one felt fraught with the heaviness of the superheated debate about gun control and the drumbeat of news about mass shootings and other gun violence. There was something profoundly unsettling about the power and responsibility that rested in my hands. A wrong move or a lapse of attention and I could hurt – or kill — myself or others. To its credit, the range emphasized safety, including an extended safety video and patient, attentive instructors. Maybe I was feeling overwhelmed by the small space (six shooting lanes), the crowd, the noise, the smell of gunpowder and spent shells popping everywhere. It got me to thinking about police officers in the middle of pitched gun battles, the likes of which we saw in Dallas, where five officers were assassinated. I, for one, would not be able to keep a clear head in the chaos of a situation like that. 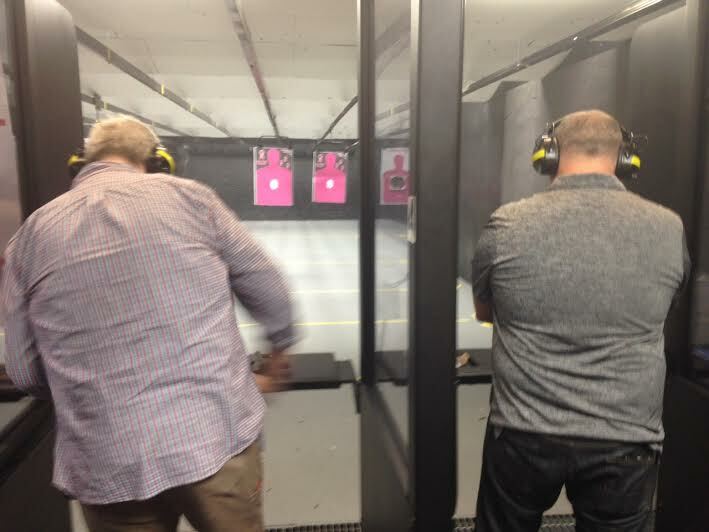 A number of people at the range were gun owners and/or enthusiasts who had a good time. As for me, I was glad to hang up my ear protection and get outside. My palms were sweaty and my heart was beating through my chest. The experience left me with an even deeper respect for law enforcers and reinforced that, unlike my pretend gunfire as a kid, handling a weapon was no mere child’s play. 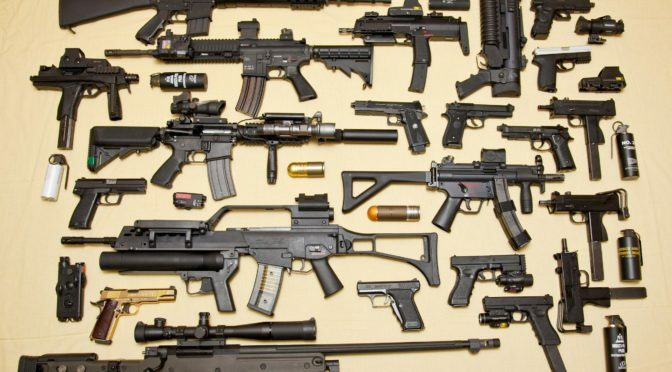 I am not a gun enthusiast or a gun owner but I do confess to having a lifetime romance with toy guns dating back to when I was a boy and we used to play army or cops and robbers. I had a machine gun made of hard plastic from Woolworth’s that I bought for $1.99. When you pulled on the trigger it made a rat-at-tat noise. I also had one or two of those toy revolvers that you loaded with little red caps of gunpowder so that when the gun’s hammer was released, it made a loud pop. 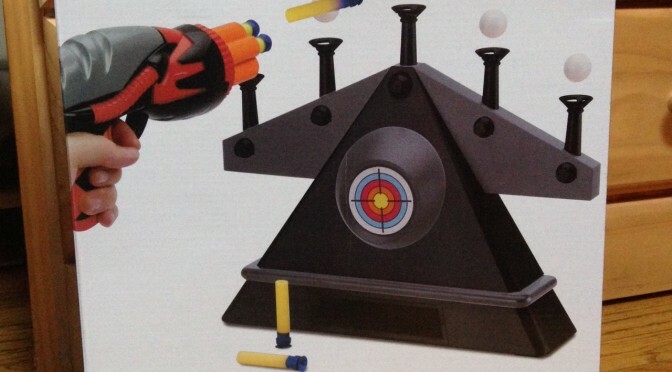 But my crowning toy gun had to come in about sixth grade when I got Tin Can Alley for Christmas. It was a rifle that shot a beam of light. 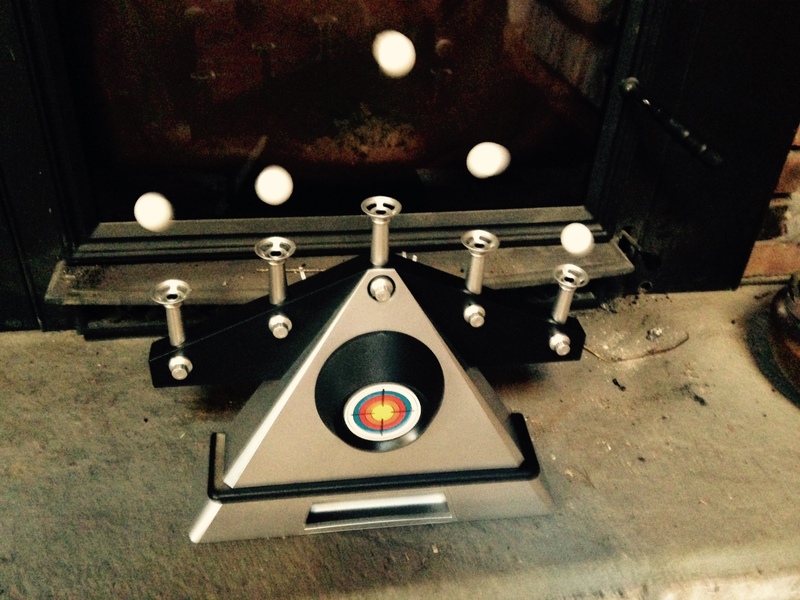 You aimed at a row of cans on a plastic “fence.” Beneath each can was a light-sensitive receptor that triggered a little pin underneath the can, which popped off the shelf if your aim was true. 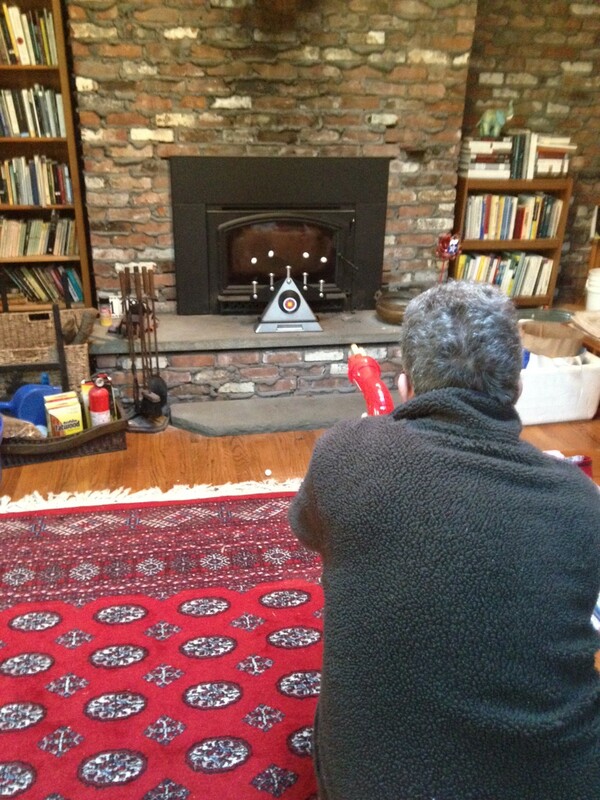 I have also been enamored with those carnival shooting games where you have to shoot out the red star entirely in order to win an oversize stuffed animal. 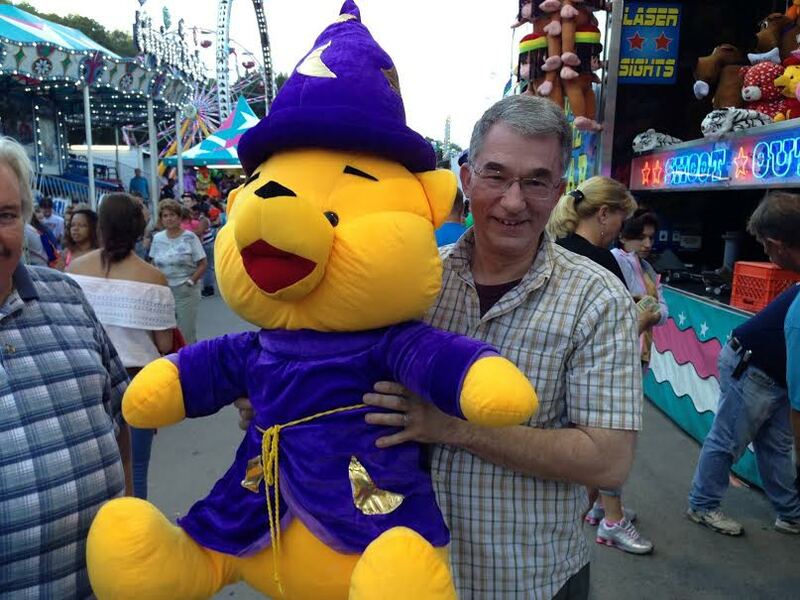 At the Wayne County Fair in 2013, I easily spent about $25 in my (ultimately successful) effort to win. 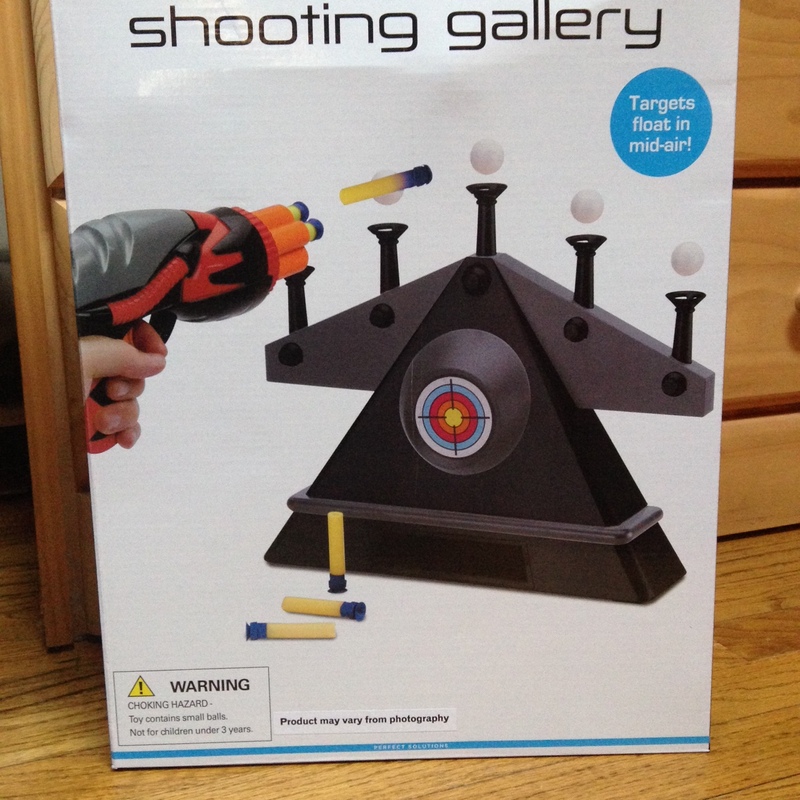 Step 1: Admire the box and have your youngest son ask repeatedly if you are going to play it. Step 2: Unpack the contents and follow the directions. 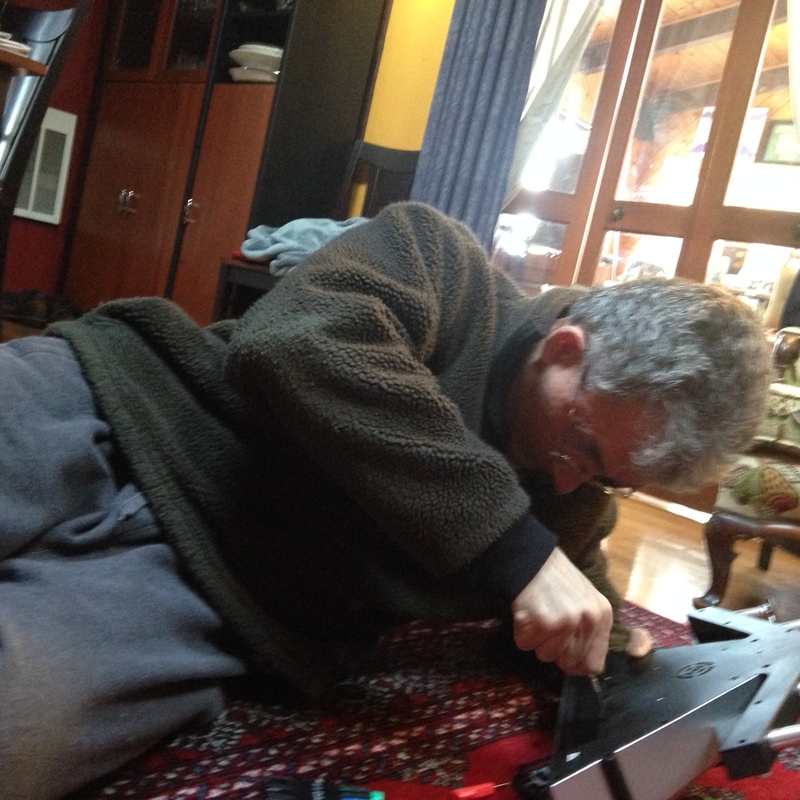 Step 3: Fight to loosen the tiny screws on the battery cover to open it. Unsuccessful, prepare to hack your way into it until your son shows you the wisdom of patience and dexterity using one of those tiny screwdrivers. 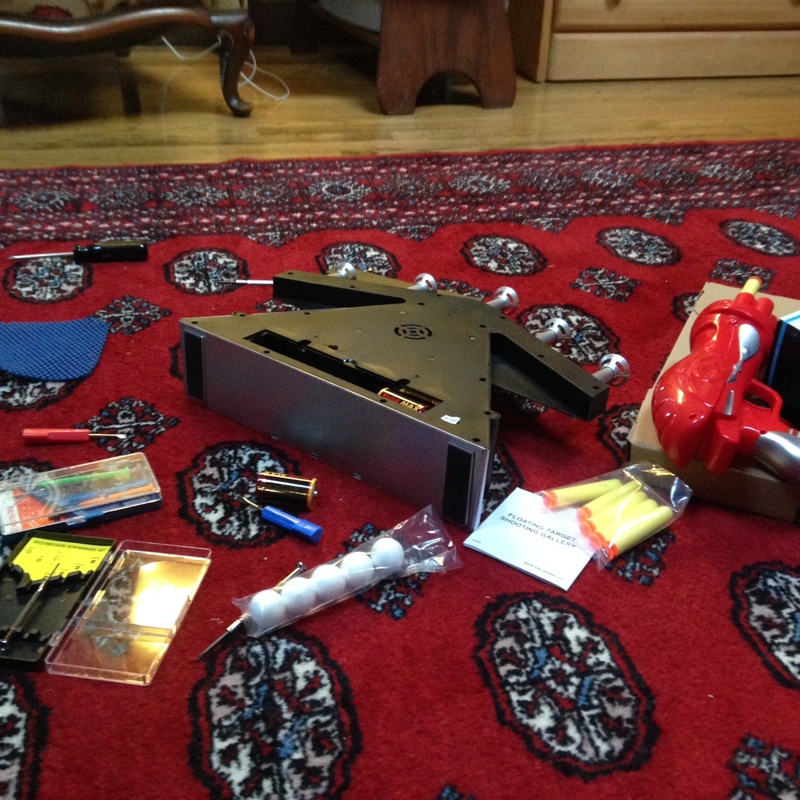 Step 4: Install batteries and admire the challenge before you. 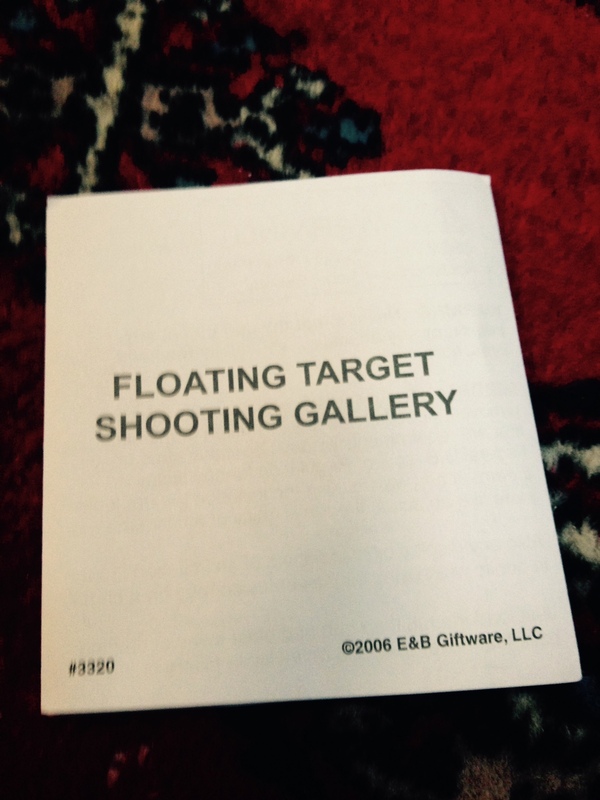 Step 5: Try to fire one of the foam bullets so you can actually hit one of the floating balls. Yeah, good luck with that. Step 7: Move in closer in a vain attempt to achieve Step 5. 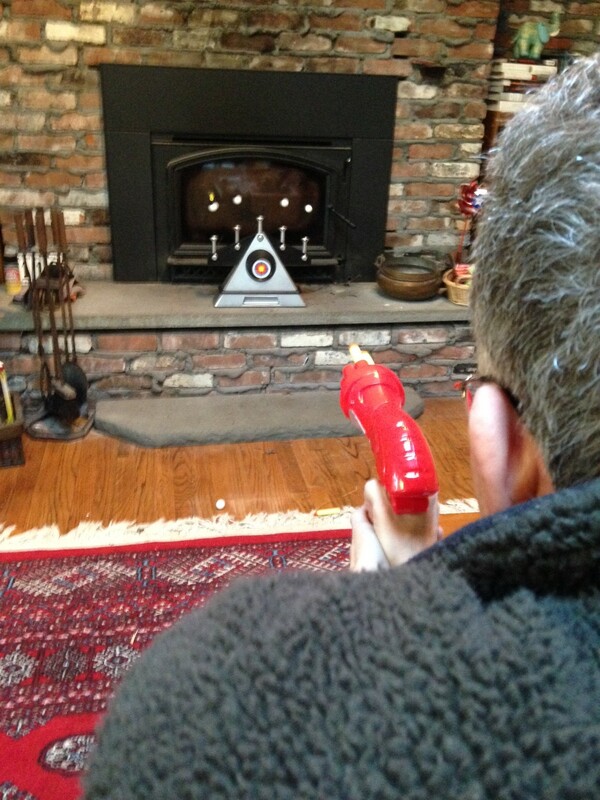 Step 8: Ultimately turn over the gun to your son, who is a better shot than you are. 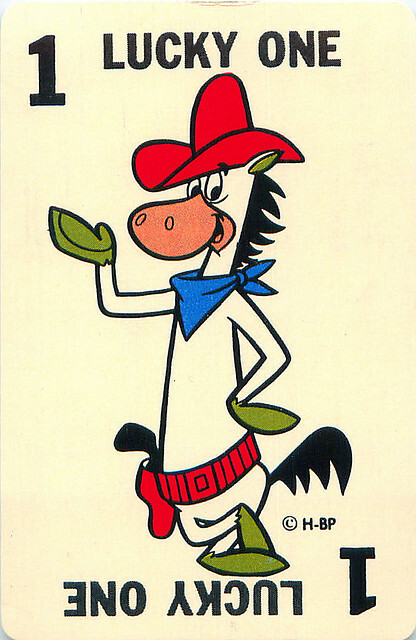 Quick Draw McGraw, you are not!